3rd Kokkaido Art Show, Ishi Ken Reitei Building, Morioka, Japan. This installation was created as part of a group exhibition showing work by artists from Japan, UK, Austria, Egypt, and Switzerland. 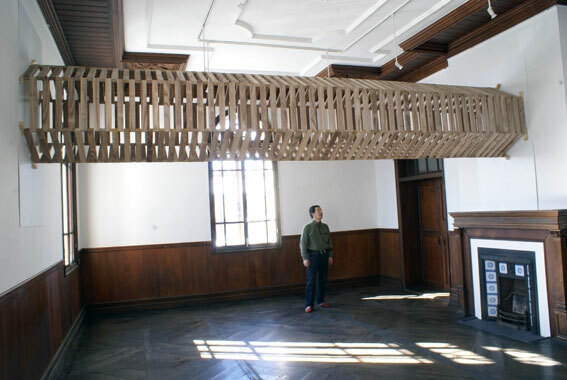 The installation consist of 324 units of wood compressed between the walls of the exhibition space. They are all held in place solely through compreshion. Wooden wedges, hammered in at each end heighten the tension of the structure, allowing the work to stay in place for an indefinite period of time.